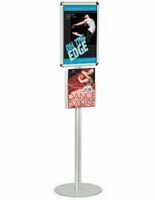 This 17” x 11” black sign display with magazine tray is a combination of a poster stand and a literature pocket. 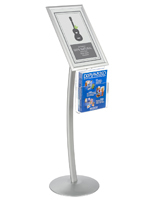 Featuring a snap frame, you can easily update the graphics of this product to keep it fresh and eye catching. 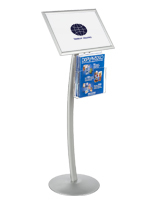 Attached to the metal sign display is an acrylic holder, perfect for showcasing literature to complement and pair with your poster. 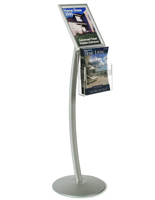 With its curved design, this stand is a simple yet attractive way to entice passersby in busy lobbies, trade shows, and much more. 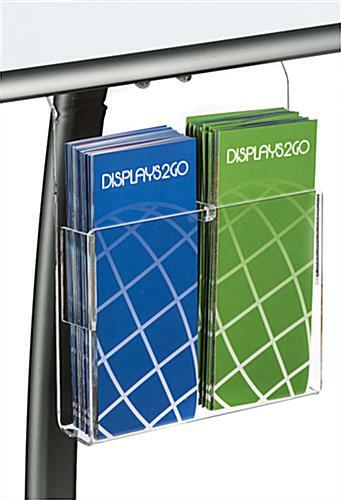 Each acrylic holder features a removable pocket divider, allowing you to choose what size literature to feature. 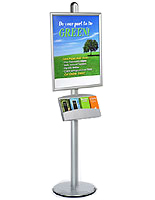 With its glare-reducing lens, this sign display also protects your posters. 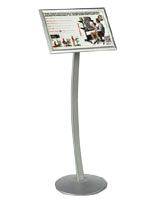 32.0" x 46.8" x 20.0"
10.3" x 6.5" x 1.5"
The stand is well made, very light so it is easy to transport and looks nice. 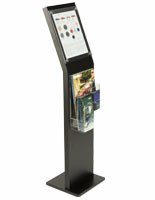 Great display area for info on your company so folks will take your brochure. 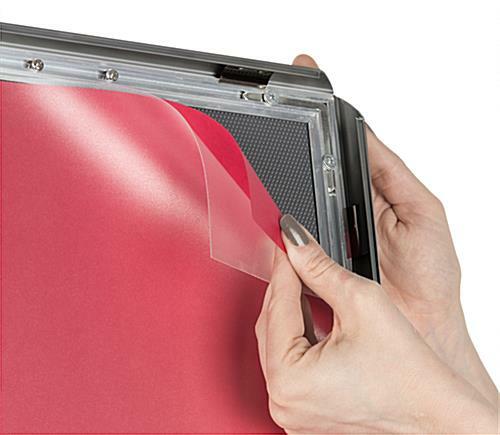 I am going to buy more. 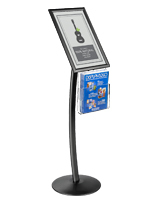 Fred, thank you so much for taking the time to share your photo and write this excellent review! 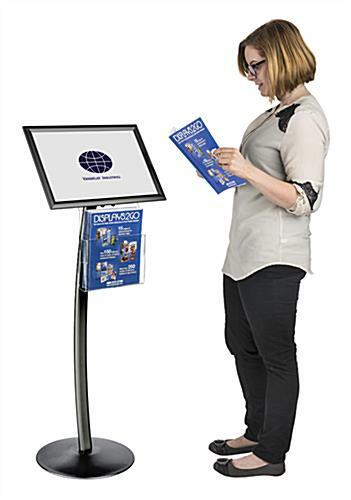 This sign stand is great for drawing people to your brochures, and we're so happy that you'll be buying more from us.